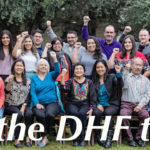 Dolores Huerta Foundation–English from Nueva Vista Media on Vimeo. Ella también habló sobre los sindicatos de los trabajadores como su única forma de organización y las organizaciones en contra de ellos, mencionando que todos los trabajadores tienen sus derechos sin importar su situación migratoria. También menciona la falta de apoyo por parte de Kevin McCarthy con las reformas de inmigración y por lo tanto de la necesidad de apoyo de la gente y las corporaciones. 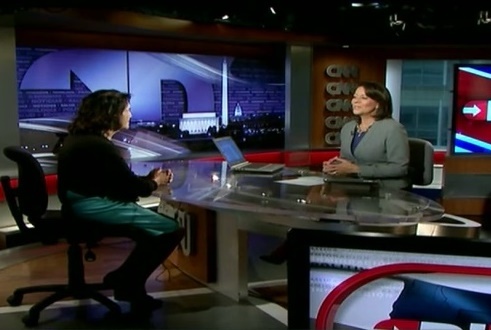 During the Interview, Dolores Huerta said the fundation is collecting funds and looking for organizers, and teaches them how to organize for large collective actions required in their community. She also talked about the workers syndicate as their unique form of organization and the organizations against them, mentioning that all workers have rights no matter their migratory situation. Also mentioned the lack of support from Kevin McCarthy (Kern Congressman) with the immigration reform and therefore need of support from the people and corporations. Above video is in spanish. 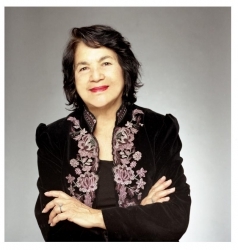 2011 Medal of Freedom recipient Dolores Huerta is a civil rights, workers, and women’s advocate. With Cesar Chavez, she co-founded the National Farmworkers Association in 1962, which later became the United Farm Workers of America. Huerta has served as a community activist and a political organizer, and was influential in securing the passage of California’s Agricultural Labor Relations Act of 1975, and disability insurance for farmworkers in California. In 2002, she founded the Dolores Huerta Foundation, an organization dedicated to developing community organizers and national leaders. In 1998, President Clinton awarded her the Eleanor Roosevelt Award for Human Rights.